Built in 1895 as the carriage house for the house west of it, this 5 bedroom, 3 1/2 bath house was converted to a single family home in 1939. With spacious rooms, lovely vintage details and a great South Kenwood location this is your opportunity to restore the house to its original glory and even better. First floor has an eat-in country kitchen, gracious dining room, large living room, cozy den and powder room. The second floor contains 5 bedrooms and 3 full baths, including a large master bedroom and attached dressing area and bathroom. Security system. Driving Directions: Lake Shore Drive to 47th, south on Woodlawn, right on 50th to property. 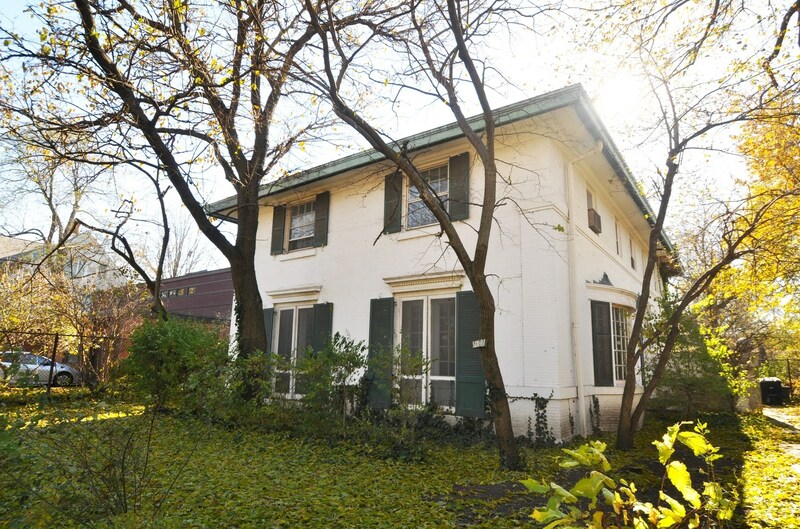 1011 East 50th Street, Chicago, IL 60615 (MLS# 10135870) is a Single Family property that was sold at $400,000 on April 17, 2019. Want to learn more about 1011 East 50th Street? Do you have questions about finding other Single Family real estate for sale in Kenwood? You can browse all Kenwood real estate or contact a Coldwell Banker agent to request more information.